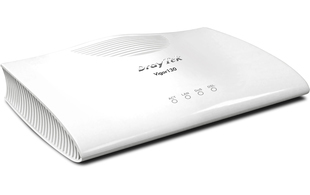 The DrayTek Vigor 130 ADSL/VDSL2 (FTTC/BT Infinity® approved) modem is compatible with all current UK VDSL/ADSL technologies and has been extensively tested to provide a robust and reliable DSL connection. Acting as the ideal device to pair with existing Ethernet WAN routers/firewalls, the Vigor 130 is both IPv4 and IPv6 compatible and offers users a PPPoE bridge, enabling connected routers/firewalls to log in to the internet directly, giving you full control over the internet connection. The DrayTek Vigor 130 is a plug and play device, allowing network administrators to configure the device from existing routers/firewalls. Designed to work alongside DrayTek multi-WAN routers such as the 2832 series, the 130 can be easily integrated to offer Load-Balancing or failover protection which can be managed from just one device, making configuration and management simple. Did you know if being used alongside a DrayTek router, we can configure this item prior to shipment meaning it will automatically work alongside your router? Using our TR-069 provisioning platform, we can pre-configure generic and customer specific settings prior to despatch. View more information about our router provisioning service. DrayTek routers are supplied with a 2 year manufacturer's warranty as standard.